Ferrari plans to market LaFerrari convertible version (LaFerrari Spider) without a roof, it has sounded since 2014. Coming from blowing news that will be launched in 2015, but in fact has not been done. Now it's been confirmed, that the model is ready to go into mass production line. The news is published directly by Ferrari CEO Sergio Marchionne, after a few minutes he set served as the number one at Ferrari. As reported by Autoblog page, Friday (06/05/2016). "The future products of the closest is LaFerrari Spider. It is not a secret anymore, because it will be close to its loyal customers, "said Marchionne. However, Ferrari will continue to maintain exclusive LaFerrari side. As proof, without its roof version that will be produced is limited, ie between 150 to 200 units. 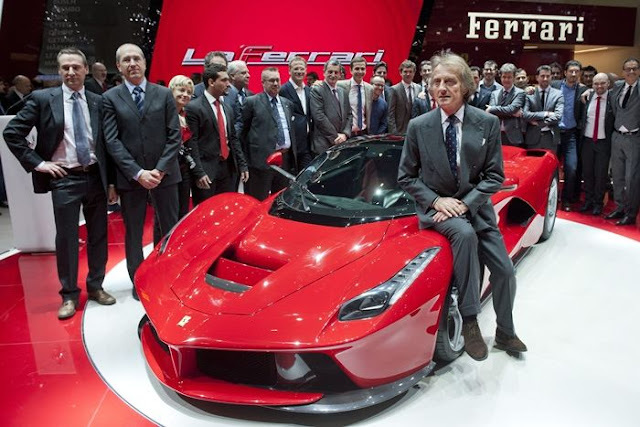 However, regarding the price, the new boss of Ferrari was not able to divulge, but he promised to inform at the Paris Motor Show, in October 2016. LaFerrari Spider will be a new icon, a roof that can be opened and closed consist of two panels. Butterfly doors can no longer be used, then replaced the standard car type. LaFerrari "standard" produced only 499 units for worldwide priced at USD 1.69 million (USD 20.5 billion), although there is no confirmation of the possibility LaFerrari Ferrari Spider priced much more expensive, estimated at 2-4 million USD (USD 24 - 48 billion). The range is seen from the series convertible ever made before, namely F12 TRS and SP12 EC.